I read up to 63% mark. I kept pushing myself to read this even though I wanted to mark it dnf very early on only reason I kept reading is because of the high ratings it has received and I wanted to know Hunters big secret but I'm officially done trying to finish it. At this point I've pretty much figured out what his secret is even though it hasn't technically been revealed yet but it's pretty predictable. My biggest issue was the writing which was pretty bad and the dialogue...especially the dialogue it didn't feel natural, more forced then anything. I didn't care for the characters. There has been no character development and all the characters are very one dimensional. The book also had one thing I can't stand which is insta-love. Then there is supposed to be this intense chemistry between Cami and Hunter but all those moments that should be swoon-worthy fell flat for me. 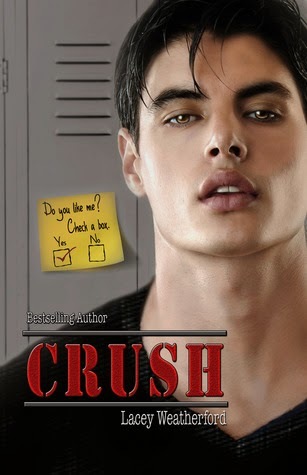 Crush just isn't for me and I'm still a little confused on how this book has such high ratings.